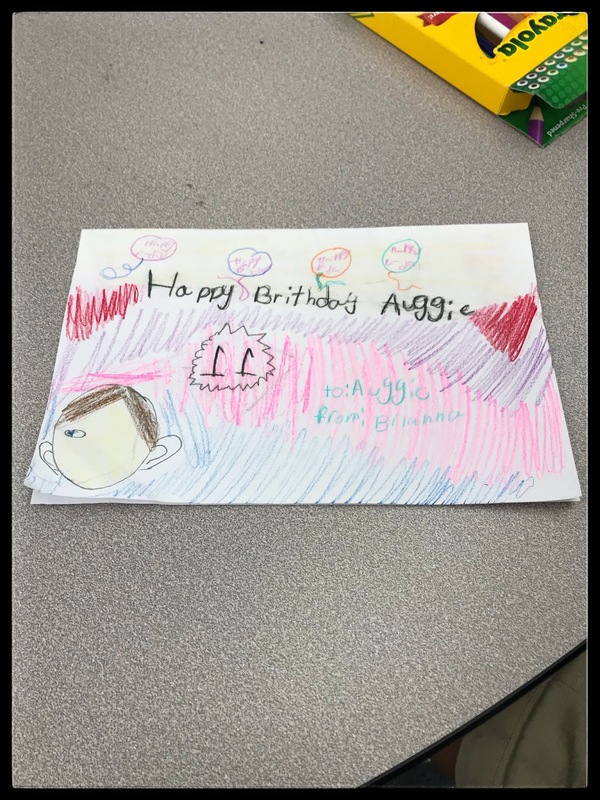 My class and I celebrated Auggie's 11th birthday today! 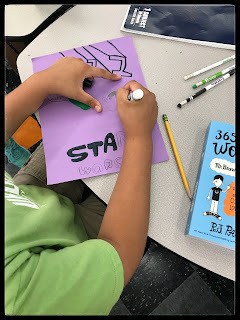 Auggie is the main character in the book, Wonder by RJ Palacio. If you have not read this book to your class yet, I HIGHLY suggest you do! It is a heartwarming story about a boy with a facial deformity who is starting school for the first time in 5th grade. 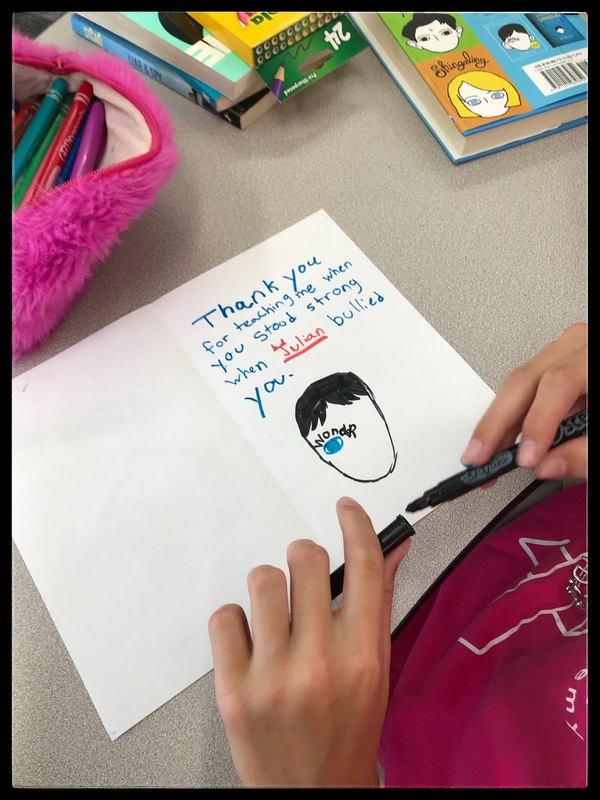 The book focuses around the theme of kindness and really hones in on the idea that we should ALWAYS treat each other kindly. I started my day off bright and early so I could come in and decorate the classroom before the students arrived. 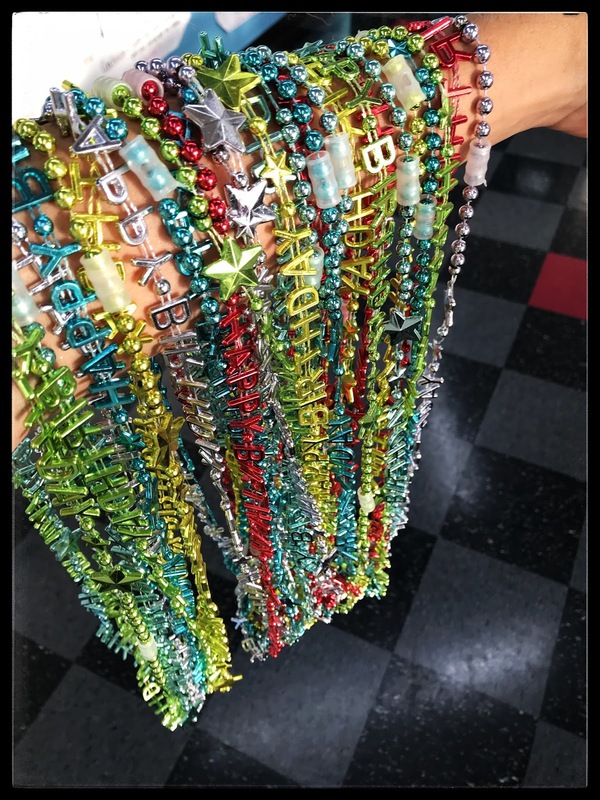 I purchased "Happy Birthday" necklaces to give everyone and placed one around each student's neck as they entered the classroom today. 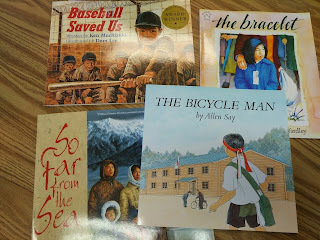 Last week, I suggested to my students to bring in a book that they thought Auggie would like or reminded them of him. 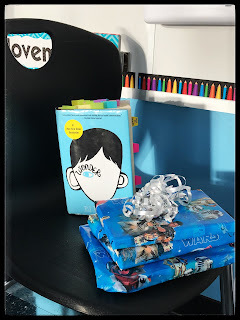 I framed it as the book would be his birthday present and a donation to our classroom library. After the students got settled in this morning, they wrote me an email response explaining what CHOOSE KIND means to them. When everyone circled around for Morning Meeting, students shared their ideas about choosing kind and then we opened up Auggie's presents (his books for our library!). Next, students created a birthday card for Auggie. The directions were to include in the card something Auggie taught them. I gave them the sentence starter "Thank you, Auggie for teaching me _____ when _____"
After students finished the cards, we gathered together in a circle and students performed a Reader's Theater skit where they re-enacted the story. This was an AWESOME resource I found on Teachers Pay Teachers here. The kids had so much fun and this ended up being one of their favorite things from today! Lots of laughs! 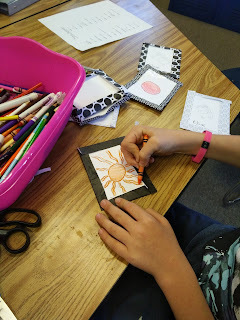 Our final activity was one that focused on the students and their positive traits. I gave everyone a name tag and they were asked to write one positive trait they hold (in place of their name). 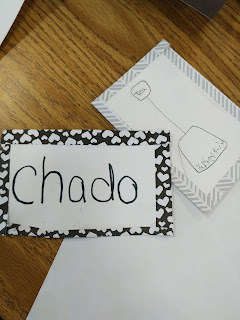 Then I used the name tag to stick a blank paper to their back. Next, the class went around and wrote positive affirmations about each other on the paper. 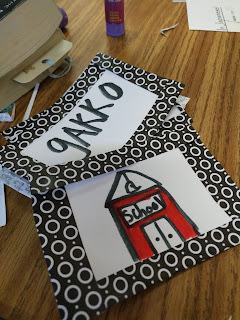 I used cardstock so the kids can keep these papers for a long time. 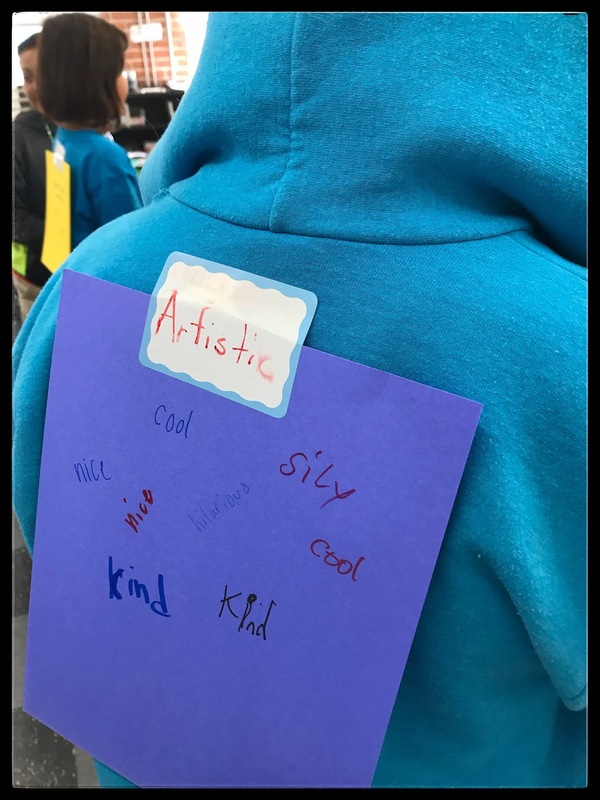 Once everyone got a chance to write positive affirmations to each other, I settled them down to listen to an interview with R.J. Palacio. Afterwards, we discussed. 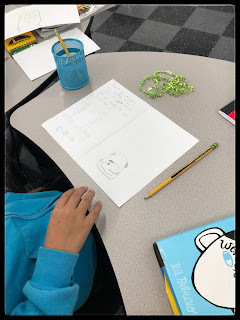 It was great to hear the students reflect on their learning based on what they learned of the author's perspective when she wrote Wonder. You can find the interview here. I have a few more activities that I will share with the kids before we finally wrap up this book. 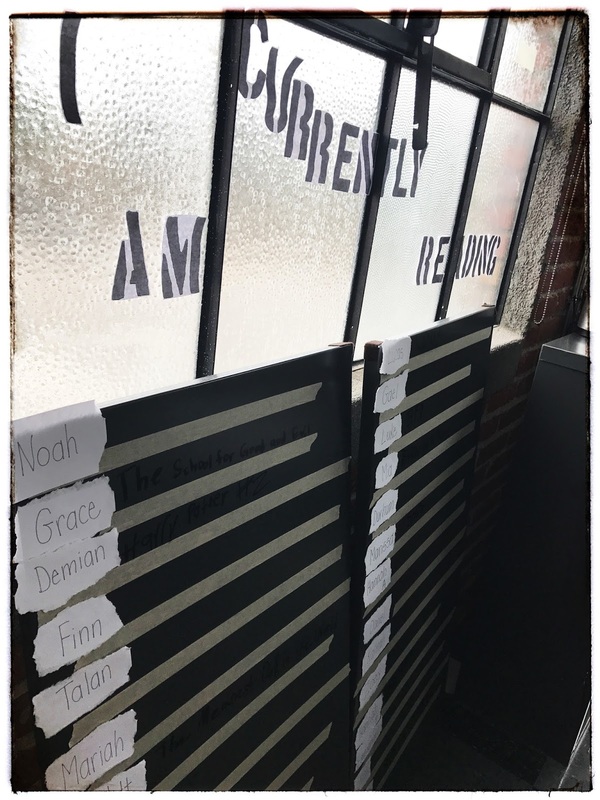 I have a feeling they will get really excited when I tell them that we are going to get a private screening of the movie on opening day!! 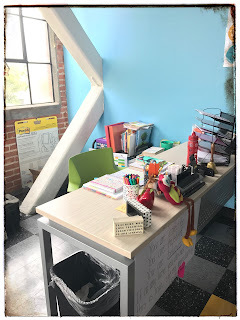 My New Classroom! We are in an industrial warehouse! Hi Everyone! It has been a WHILE since I've posted on here and it's because I have been super, crazy busy! I hope you've been following me on my Facebook and Instagram to stay in the loop! At the end of June, I sold my condo and pretty much everything I owned in Wilmington, NC and headed to Philadelphia to visit my family. It was a detour on my way to San Diego to teach 5th grade at my new school! I spent 11 days on the road from Philly to San Diego, visiting friends on the way and doing some major sightseeing of all the natural beauty our country has to offer which I never even knew existed! 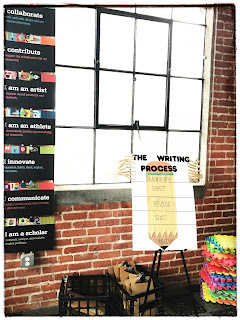 When I arrived in San Diego, I explored downtown, the beaches and caught up with friends and teachers that I either knew from the past or connected with on Teachers Pay Teachers. When school started, I was refreshed and ready to go! 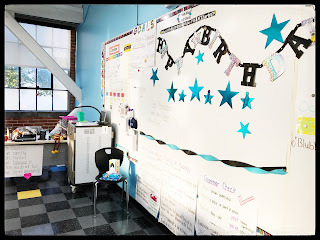 The kids' first day was on August 28 and I am ready to share with you some pictures of my new classroom! I figure pictures can tell a better story than I can sometimes! I hope you enjoy! 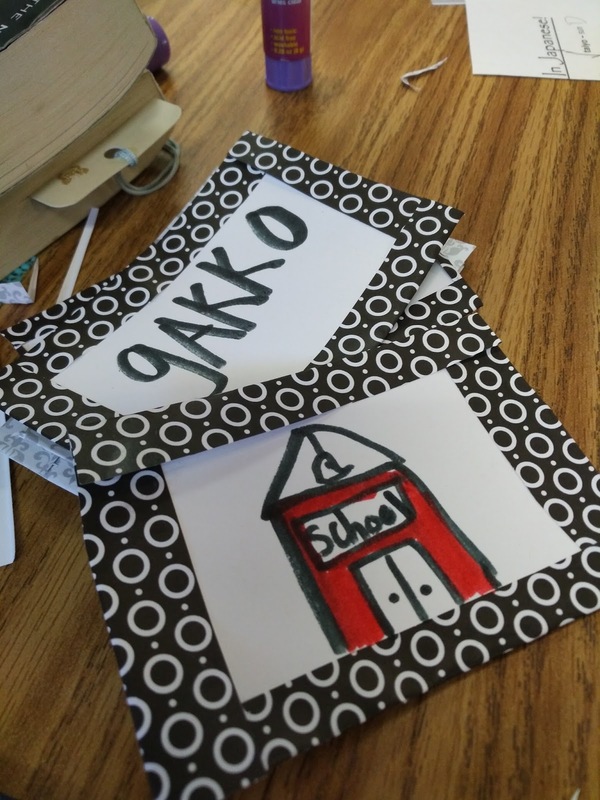 My School: I am at a project-based school where students create and learn! 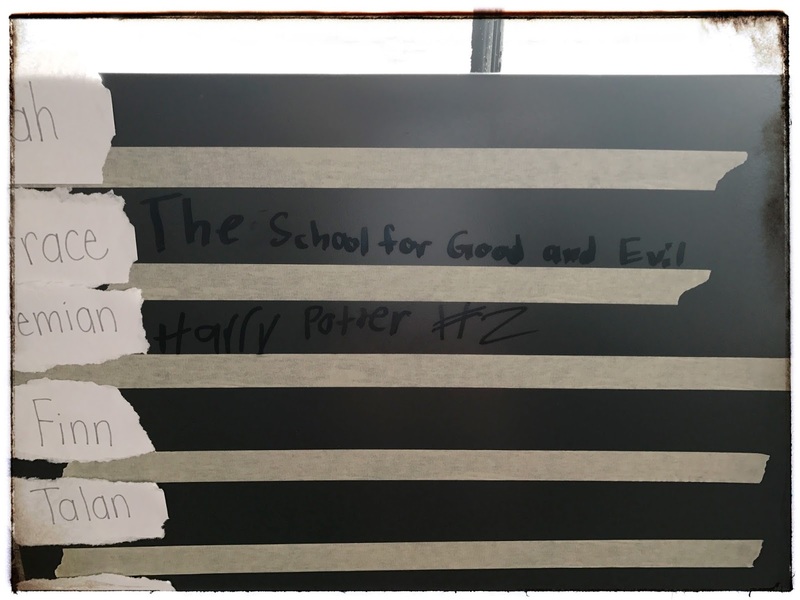 The school year is being planned around the essential question: What kind of person do I want to be? 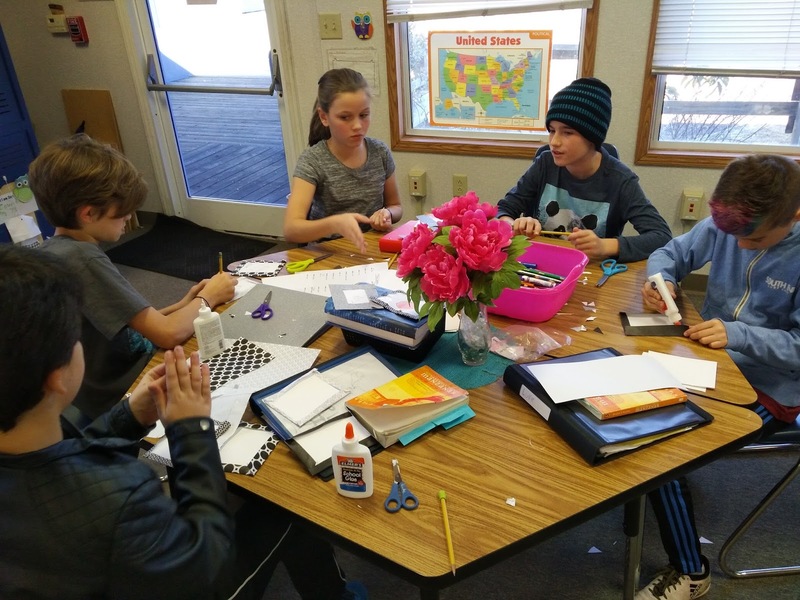 Trimester 1 is all about building community and a safe-space for learning and exploration! I am teaching Readers Workshop and focusing on specific comprehension strategies. I model with Wonder and then the students use their Independent Reading books to practice the strategies I model. 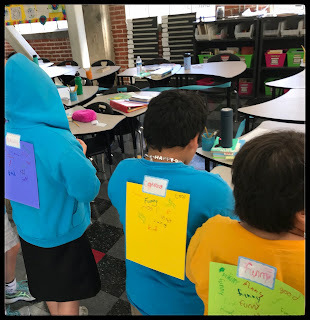 When students are ready, they will read Blubber, by Judy Blume and then The Hundred Dresses by Eleanor Estes as a whole class literature circle. Students will be working with an architect to design and make prototypes for a pop-up playground. The idea is to bring the community together by providing a playground for children in an un-used area around the neighborhood such as alleyways, parking lots, etc. This is known as place-making and the students will get first-hand experience with how it all works! We will be doing field trips and bringing in experts to create a full experience of how to create a pop-up playground from beginning to end! Through reading, role playing and activities, students will learn how to advocate for themselves and each other, how to apologize, how to make an appropriate complaint and how to disagree. 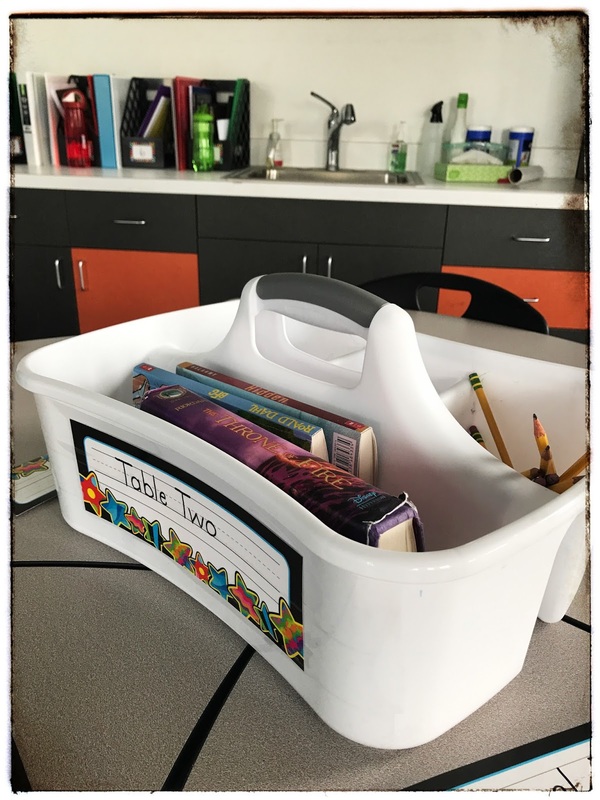 I have so many great activities that will help build the classroom community and safe-space for children to explore their learning. I am super excited for them! 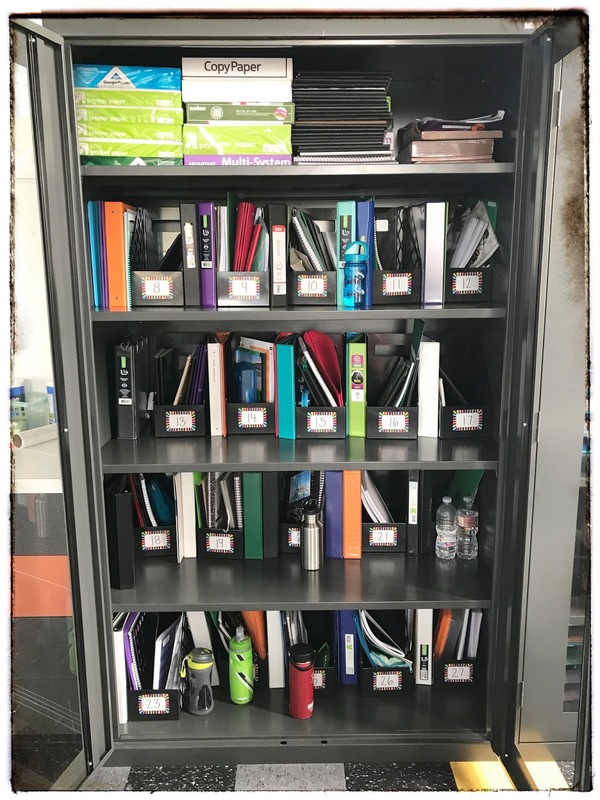 This is where student materials are kept. 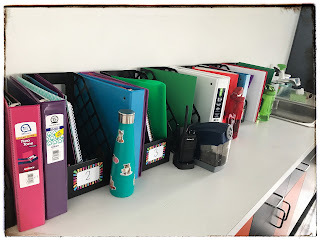 They are oversized magazine holders and the binders are kept on the side of the holders. I hate the setback holder thingys, so I am experimenting with this idea. So far, I am liking it. I bought these caddies from Big Lots. 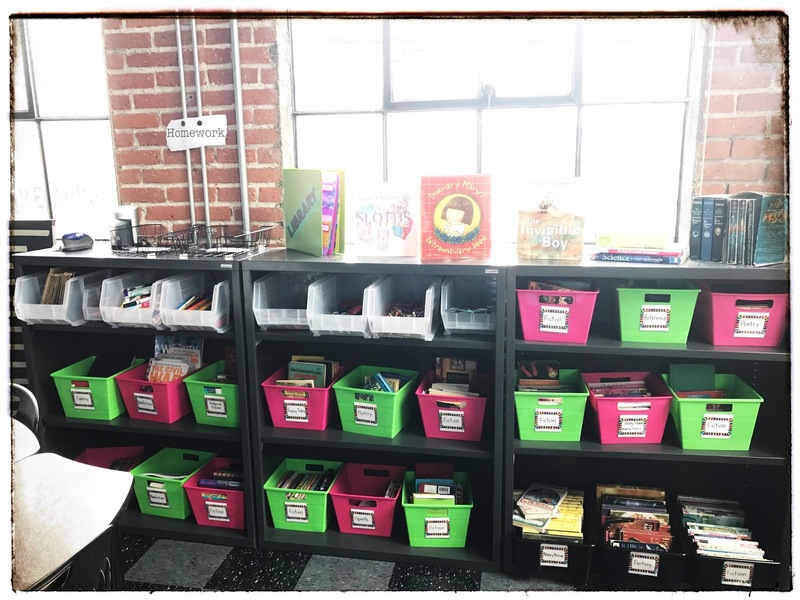 The long section is for their reading books, the square sections are for pencils and when they do activities where they need scissors, markers, crayons, etc, I use the other two square sections for that stuff. This area is for their homework to be handed in, first thing in the morning. This is how students will check out a book that they want to take home. 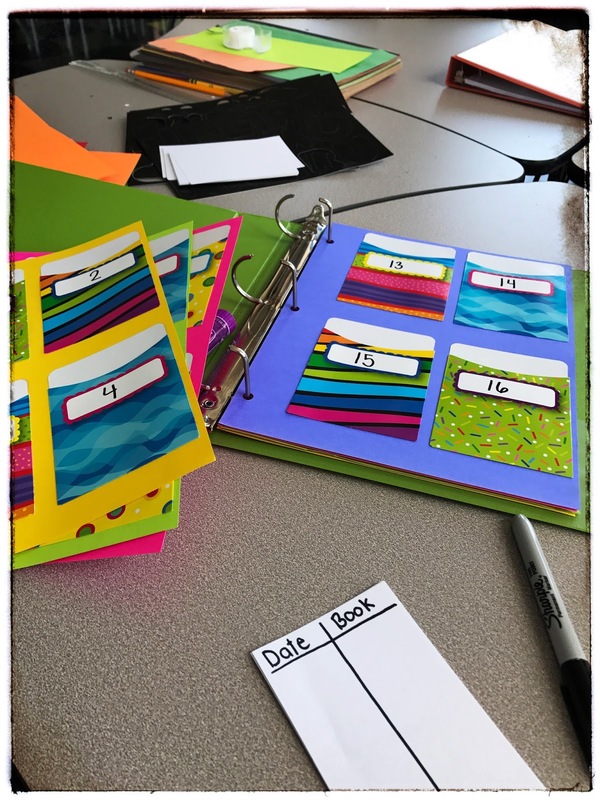 They each are assigned a number and will use the correlating library pocket. 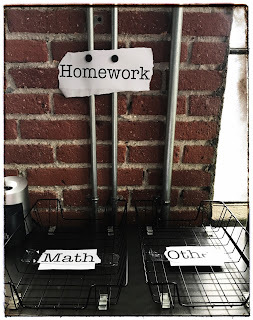 I "repurposed" metal shelves aka gave them another use. 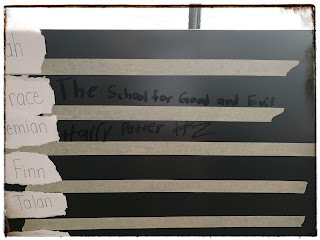 Here, students use a dry-erase marker to record which book they are currently reading. This is how I keep track of where students are in the Writing Process. 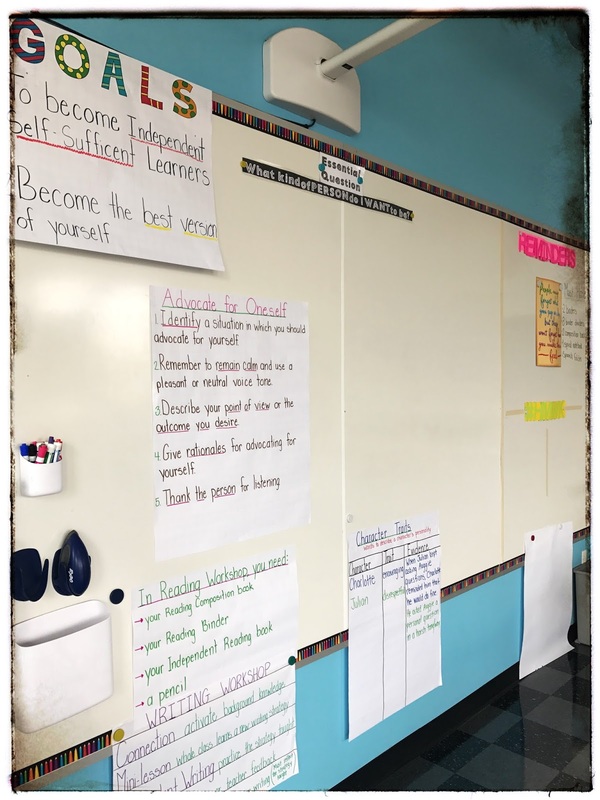 The colorful squares are used for them to sit on when we come to the floor (until our rug arrives) and clip boards are always necessary in a 5th grade classroom 😉 Usually come in handy when students want to work somewhere else in the room, not at their desks. That is my new classroom! 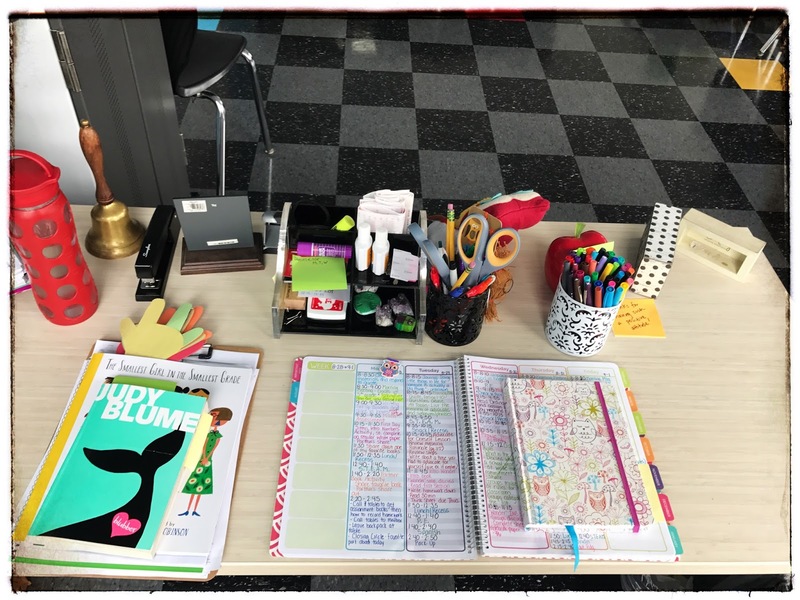 I hope you enjoyed the "tour" and that I've inspired some good ideas for you to use in your classroom! To begin the unit, I created a fun and engaging activity (that also makes for a really cool bulletin board!) 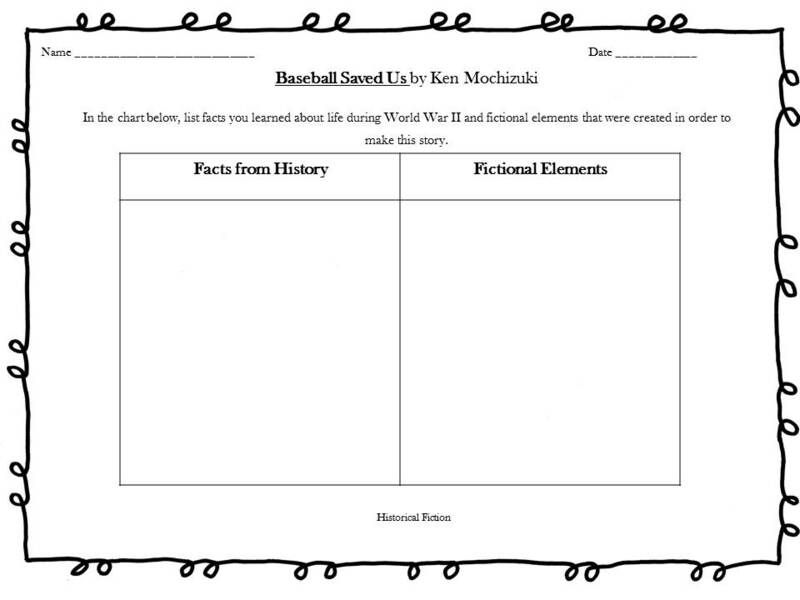 for students to identify the Allies and Axis powers as well as a brief overview of important events in the form of a timeline. 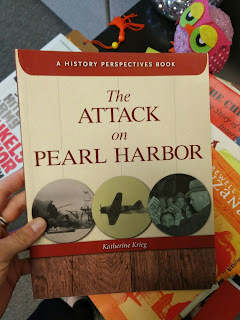 I read from a book entitled, The Attack on Pearl Harbor by Katherine Krieg which shares a diary entry from a US Marine soldier during the attack and one from a Japanese Fighter Pilot. 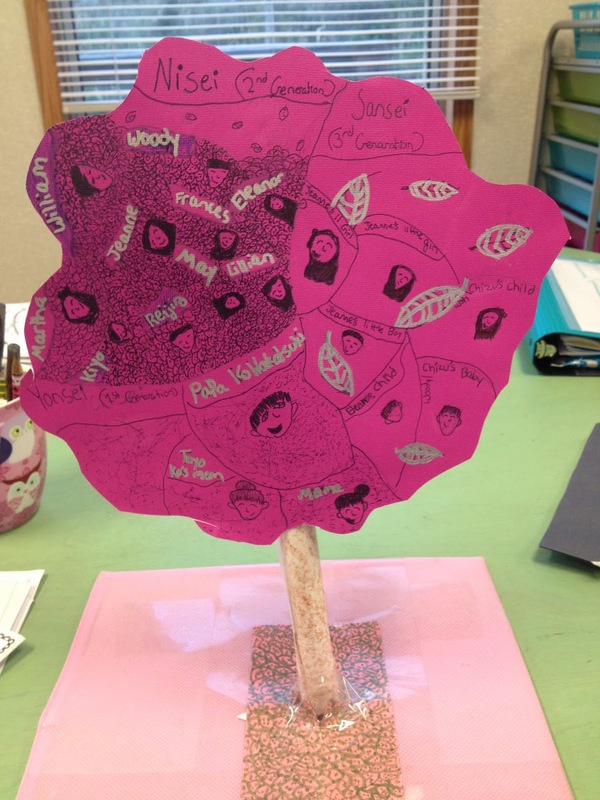 This book stirs up a great discussion when students consider each person's point of view. 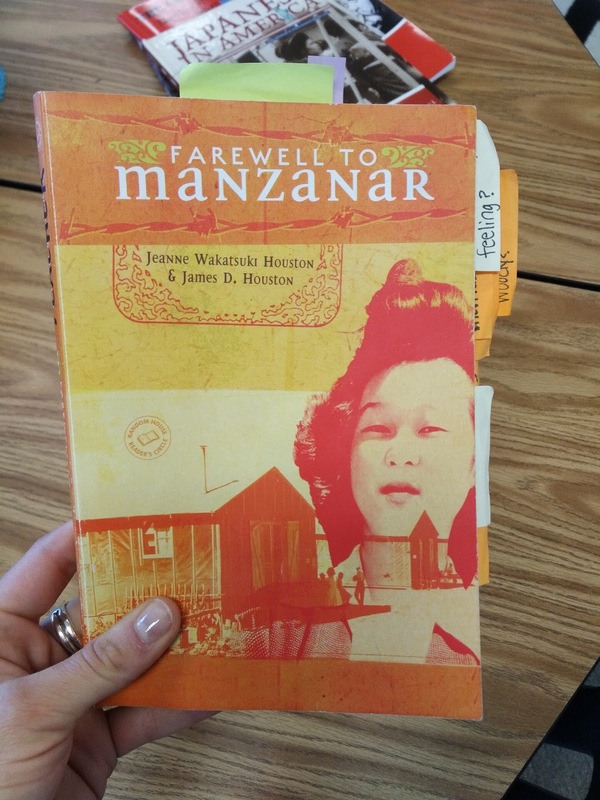 The book I chose for my students to read independently and discuss as a class is called Farewell to Manzanar by Jeanne Watasuki Houston. I can't say enough about how this book teaches about the internment camps and creates a sense of empathy for what is mostly an unknown truth about our nation's history. 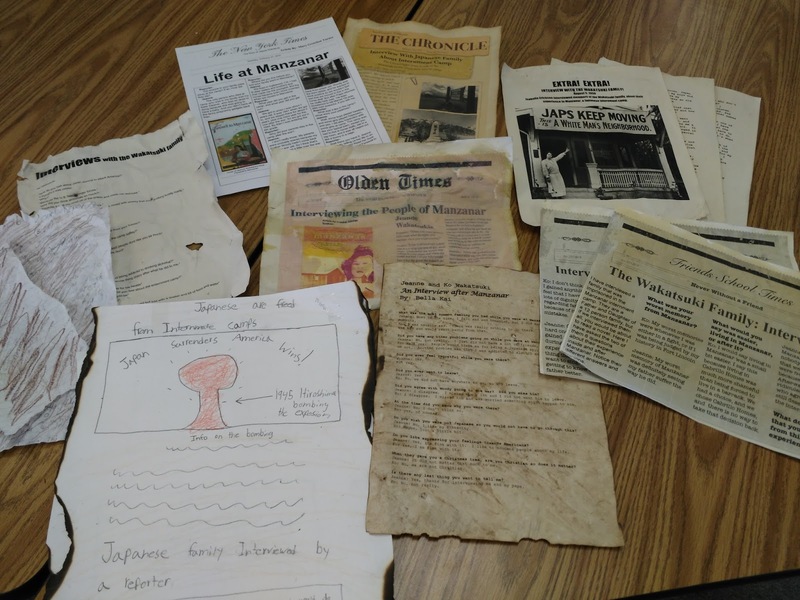 When Jeanne was 7 years old, her family was forced into an internment camp after the bombing of Pearl Harbor. 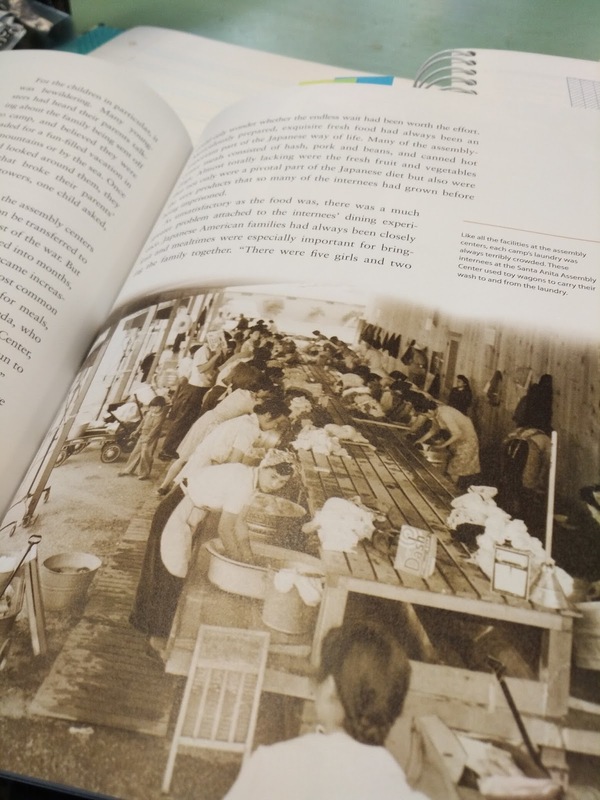 This book goes into great detail of the struggles her entire family faced while in the camps and the discrimination and prejudice and struggles they experienced after leaving the camp in 1945. 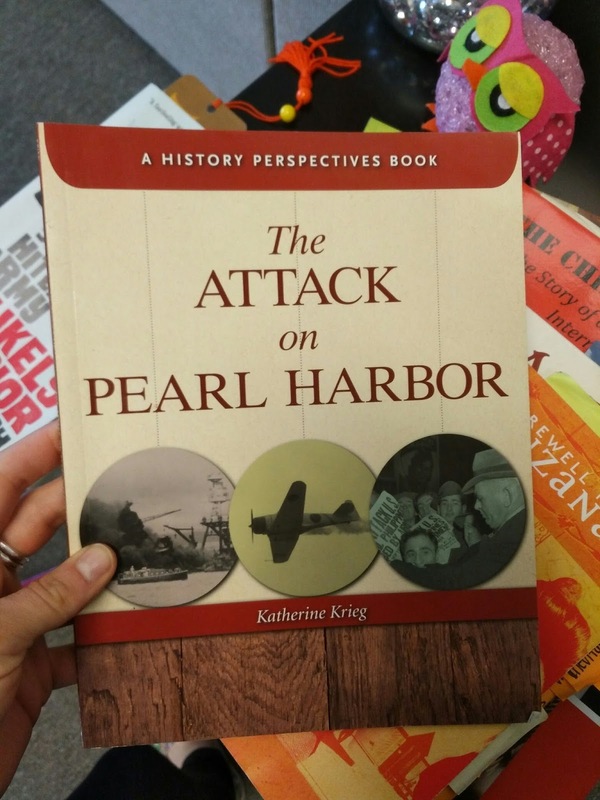 The book provides insight as well as many talking points for a class discussion. 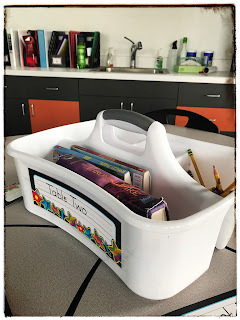 It also is a great go-to "hook" and connection for when I want to teach about a specific topic within this subject. 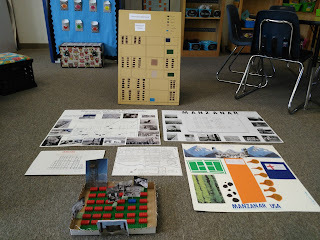 For example, when I wanted to teach my students about the roles and sacrifices of the Japanese American soldiers, I connected it to when Jeanne's older brother left the camp to join the US Army. 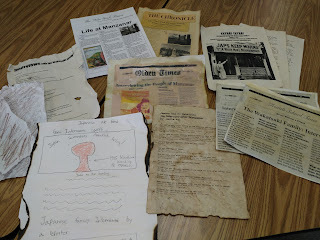 When students are finished with this reading, they are assigned a project to complete. 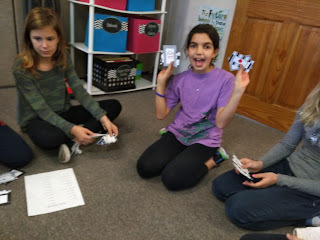 They get to choose from a list of options that they think would be most fun! 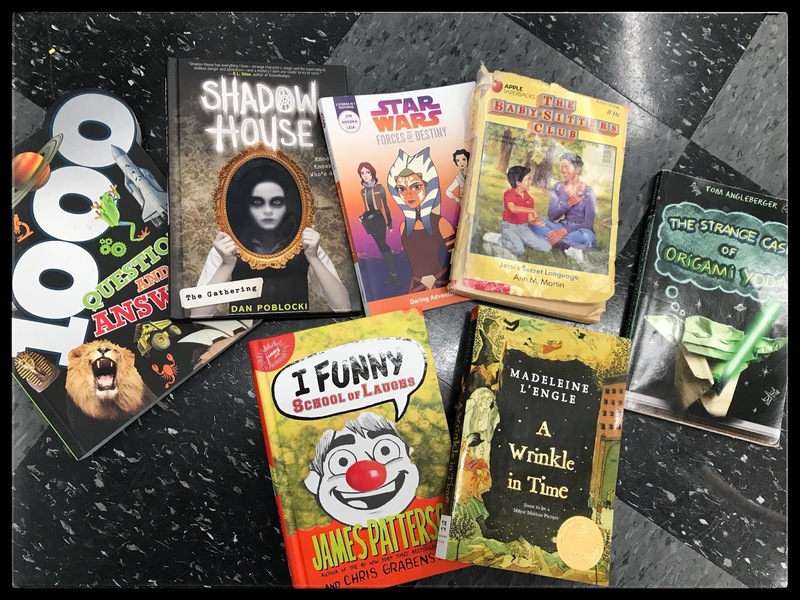 These books are wonderful resources! 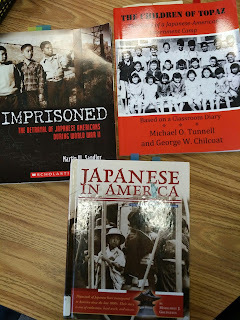 Imprisoned: The Betrayal of Japanese Americans During WWII by Martin W. Sandler works well for this unit because the chapters are specific to experiences that Japanese Americans had starting with Pearl Harbor and the fight for justice up until the 1990's. The real pictures and side stories are extremely helpful to paint a full picture of the history. 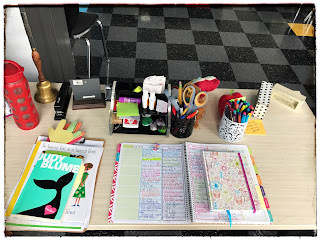 The layout is fantastic and students often borrow this book during Independent Reading to flip through and read sections I don't teach in class. The Children of Topaz by Michael O. Tunnell and George Chilcoat is another perfect book for this unit because it is a collection of diary entries from students within the detention camps. After each entry, there is an explanation of it which helps with creating a better understanding of what life was like for school children. 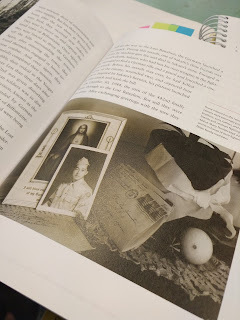 Japanese in America is a book I randomly found as a library withdraw. 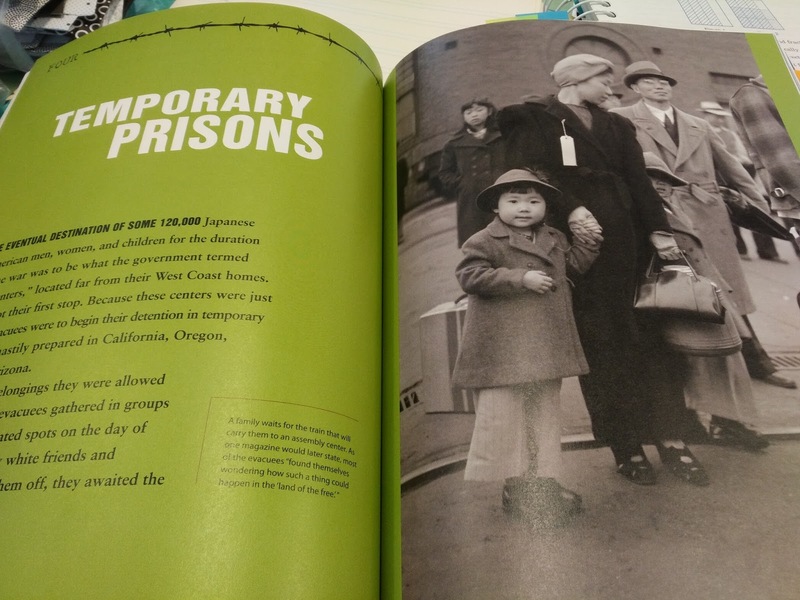 It is a textbook-like book that describes what life was like for Japanese Americans prior to WWII. During Writers Workshop, students create Historical Fiction Picture Books. 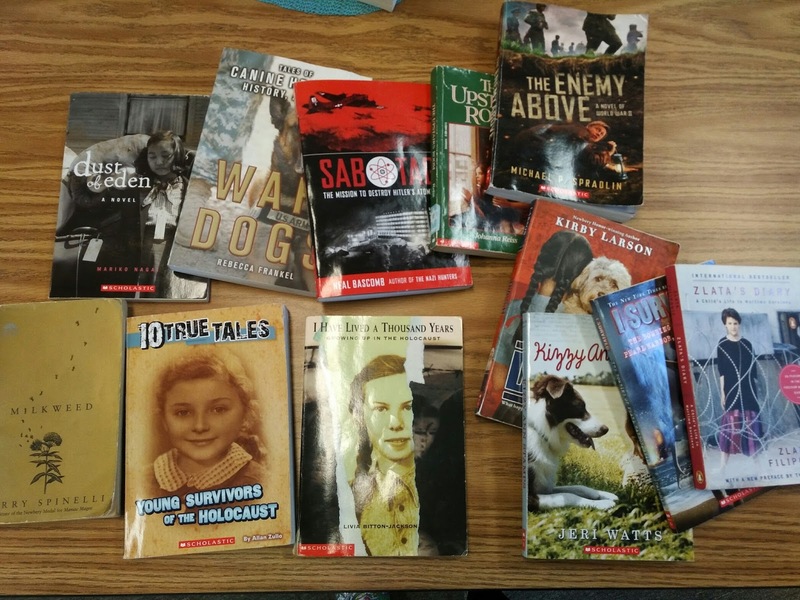 Because I taught about segregation and the Civil Rights Movement earlier this quarter (in preparation for our participation in the Martin Luther King, Jr. Day parade), I allow for students to choose whether they want their books to take place during that time period or WWII. 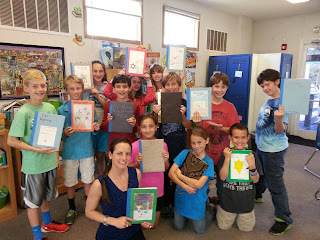 Among other things, I help prepare them by reading published historical fiction picture books to them. 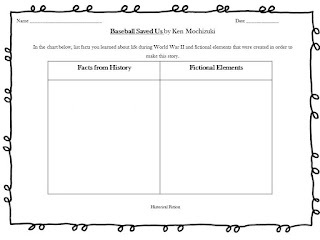 This works really well because while I am reading the books, students are completing activity sheets where they are asked to identify the fictional elements and historical facts. 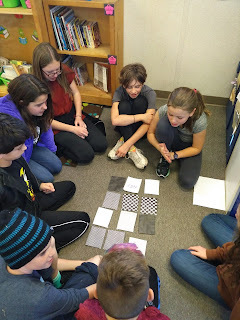 We discuss how the author intertwined fact and fiction. They learned more about the time period and they are thinking about how they will structure their own pieces of writing! Although Lucy Calkins does not do a Historical Fiction writing unit, I structure my lessons as so. The revision stage is where even more history learning takes place. 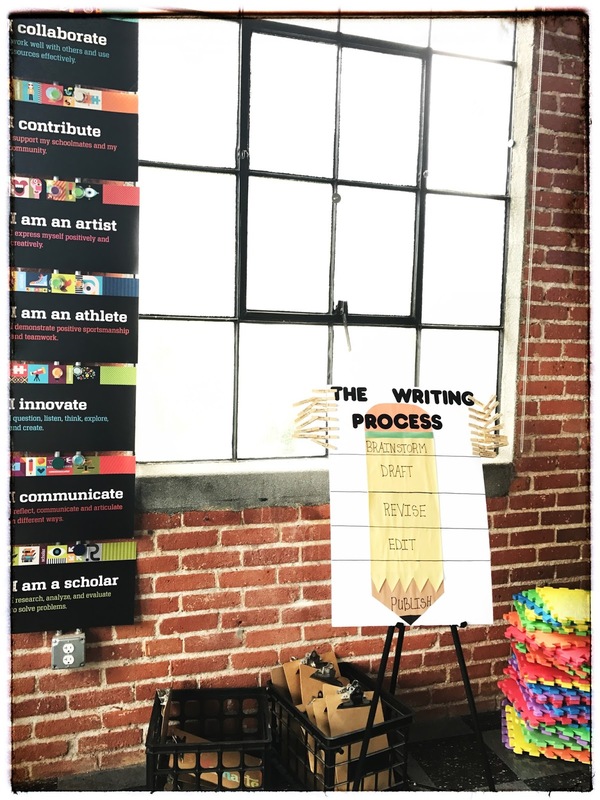 This is the part of the writing process where kids are fact-checking their stories. I often am guiding students in finding answers to questions like, "How did the Nazis know who was Jewish and who wasn't?" "Did any of the Japanese have friends who could take care of their homes while they were gone?" "What happened to kids who were too young to work in the concentration camps?" 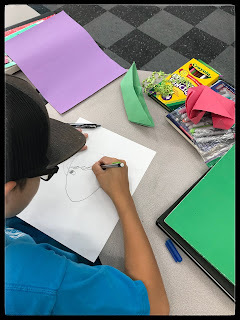 Also, during the publishing stage, when kids are illustrating their books, they are researching exact details such as, what the soldiers uniforms looked like and what the scenery was for the internment camps. 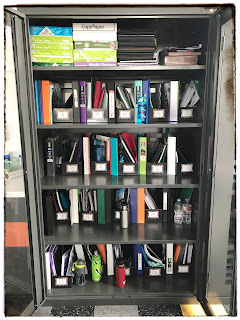 Every unit, I fill up a Theme Box in our classroom library. 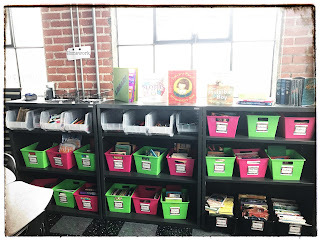 This is a box full of books students can choose to read on their own. Here are the books I've collected that specifically relate to WWII. This is how I like to set up each of my unit studies! The more integration, room for student inquiry and project based learning - THE BETTER! How do you set up your units? 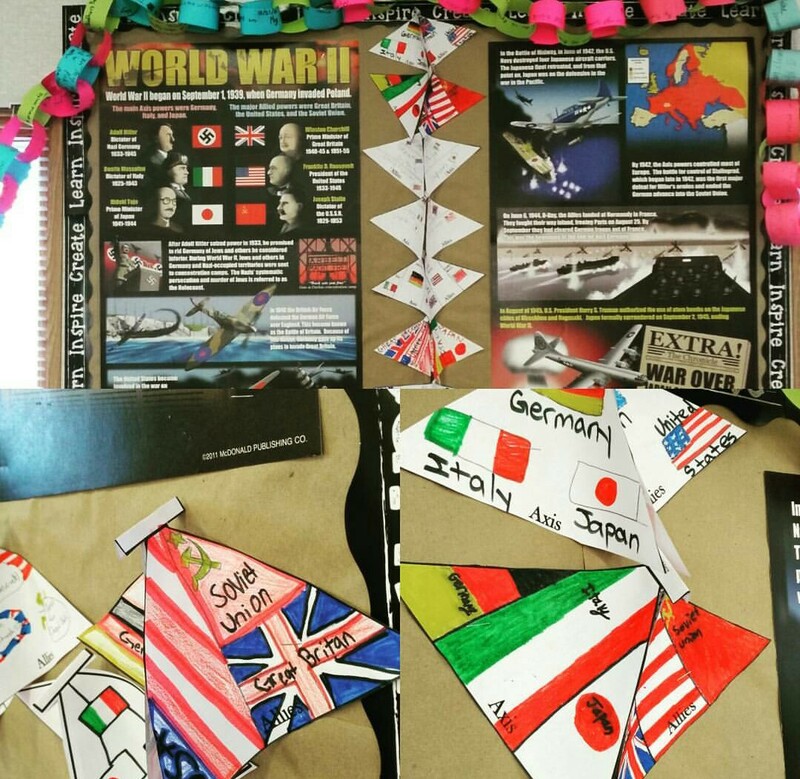 WWII Studies and integrating the Japanese Language! 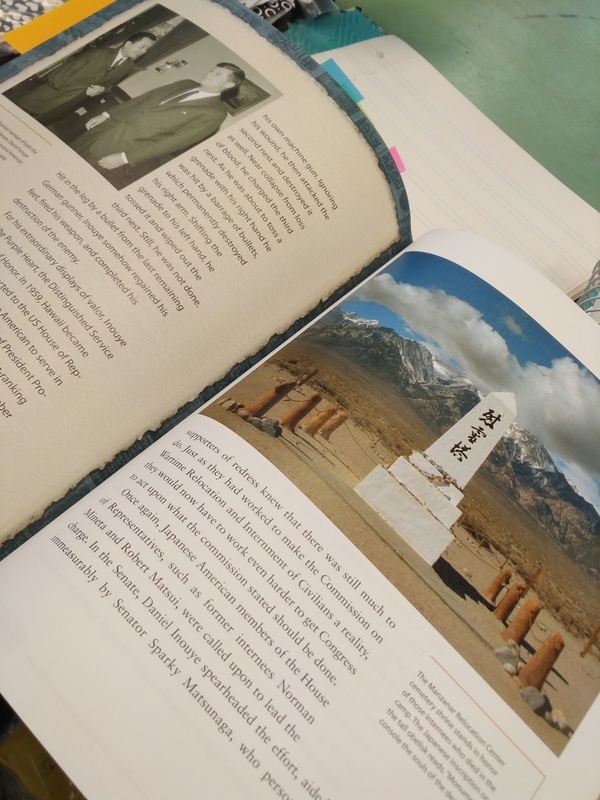 During the second part of the third quarter, I teach students about WWII and specifically about the Japanese internment camps during Readers Workshop. 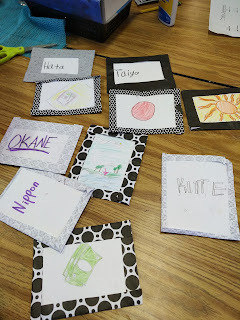 Today, to honor the Japanese culture, students worked on an activity to learn some Japanese words! 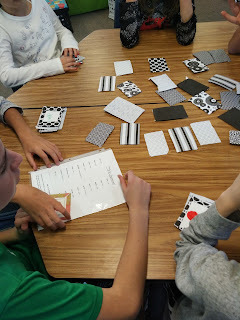 Students cut the cardstock paper into smaller rectangles and then cut the scrapbook paper slightly bigger to fold over and glue to the back of the cardstock card in order to make them look like "playing cards". 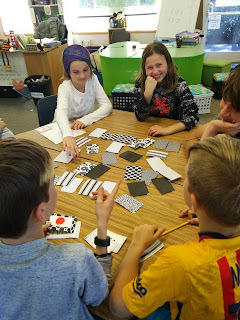 Within their groups, the kids divided up the work among each other. 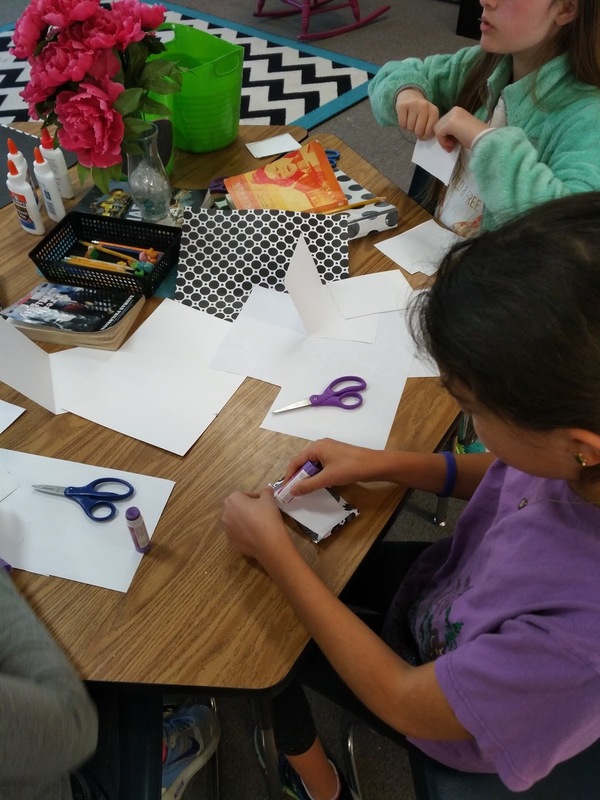 Some students were creating cards with written words and others were drawing pictures on the cards. By the end of the activity, each group had a set of cards to play Memory by matching the picture with the correct Japanese word. I knew that 8th graders were planning to visit our classroom today (my first class I had when I arrived to this school!). I thought it would be a fun idea to have my 5th graders and 8th graders play the game together! They ended up playing a few rounds! 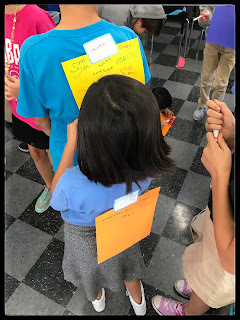 When I walked around the room and asked for them to tell me the Japanese words they know, I was surprised at how many they had already learned! It turned out to be a really wonderful afternoon!